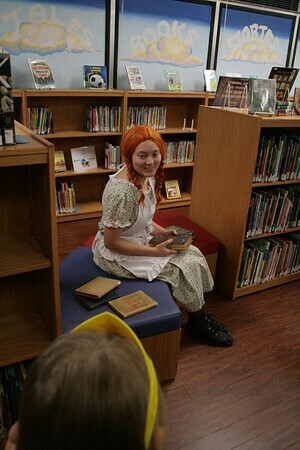 The Chickasha Public Library held a Books Come Alive Tour on Friday evening. "Book tourists" listened to characters from classics such as Cinderella and Frankenstein tell their side of the story. All the while characters such as Peter Pan and the Very Hungry Caterpillar drifted in and out of the scenes to interact with characters and tourists. After the end of the journey, tourists visited the Local Authors Festival where they could meet authors from the area.